Every Tuesday @ 1 PM EST! 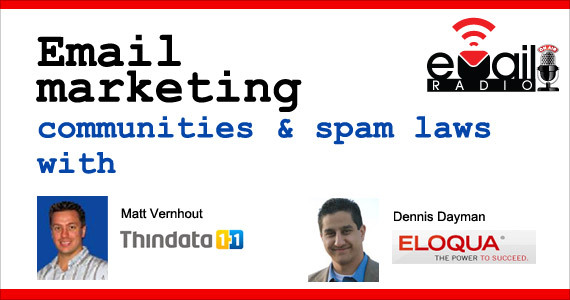 eMail Radio is not your average email marketing podcast! If you are calling in to be on the show REMEMBER to turn down the volume of the player or close the show/player window/tab! There is a delay and being on the show and listening to it online at the same time will cause brain implosion! Call us or Skype us! You can call in via 347.637.3461 or use Skype for free – the Skype link will be visible on the show details page once we are live. We broadcast live and take your calls via phone and Skype from around the world! Each week Jeff Ginsberg welcome experts in the online marketing industry to help you raise the bar in your efforts to gain subscribers and drive conversions! Got a question you’d liked asked? Maybe you have a show topic or guest suggestion? 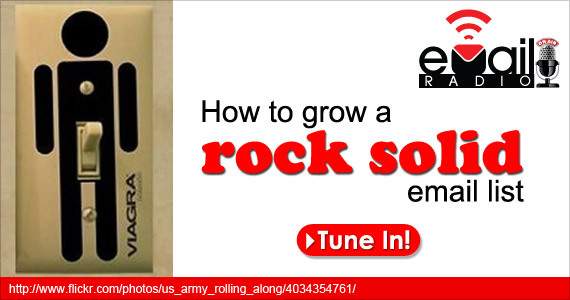 Tweet us via #emailradio or email us @ eMailRadio@theemailguide.com! 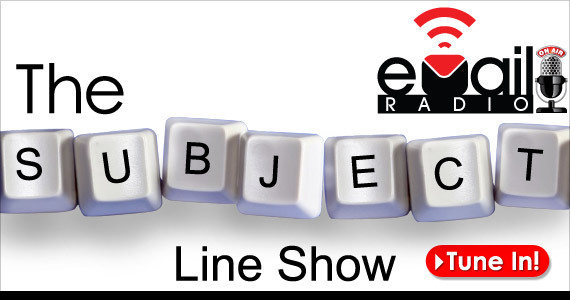 Please join us on Tuesday June 21st at 1PM for eMailRadio as Jeff Ginsberg hosts special guest Al Iverson, Director of Deliverability at Exact Target. Want to make sure your email has the best chance to get delivered? This is the show for you! 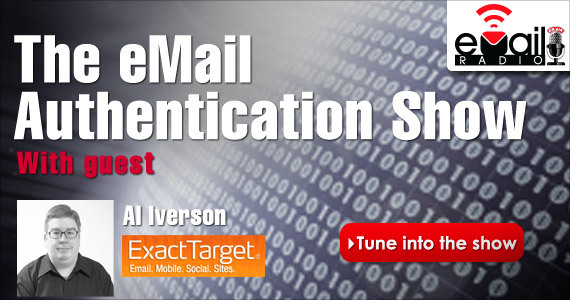 Go from eMail Newbee to eMail Ninja in only 60 minutes as we discuss: Email Authentication! 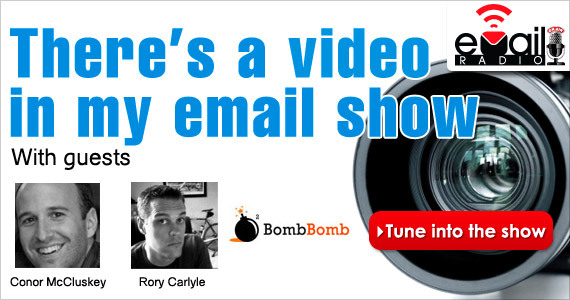 Please join us on Tuesday June 7th at 1PM for eMailRadio as Jeff Ginsberg hosts our guests Conor McCluskey and Rory Carlyle of BombBomb to discuss the latest trends in video email technology. The “There’s a Video in my eMail” Show will explore why video eMail wasn’t so popular until recently. In fact, video in an email was often considered an eMail Marketing liability! Traditional formats – Flash, AVI and MPEG – are still considered taboo as mediums to be imbedding into or attaching to your email message. Please join us on Tuesday May 24th at 1PM for eMailRadio as Jeff Ginsberg, your host, will discuss email subcriber preferences. 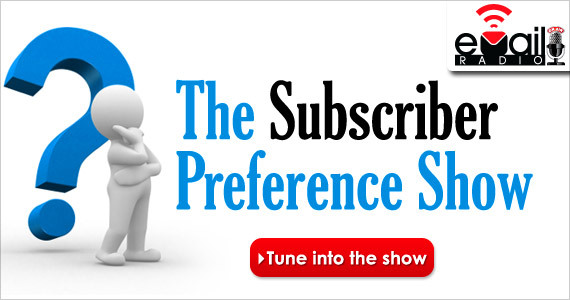 The Subscriber Preference Show will examine how to cultivate email relevance, value and deliverability; enhance engagement; establish subscriber trust and manage privacy issues – all by learning how to optimally extract and use your subcriber preferences. Jeff will talk about why you need a preference center and why giving options to susbscribers to control their own preferences is so important. 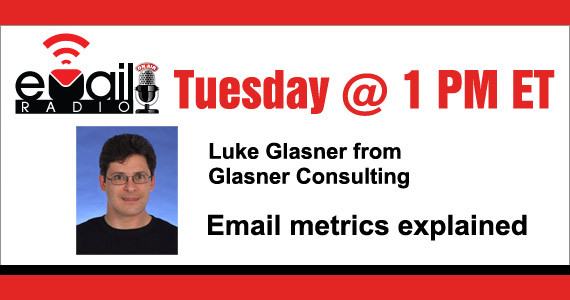 Please join us on Tuesday May 17th at 1 pm for eMailRadio as Jeff Ginsberg, your host, will discuss email frequency, cadence, scheduling and throttling. 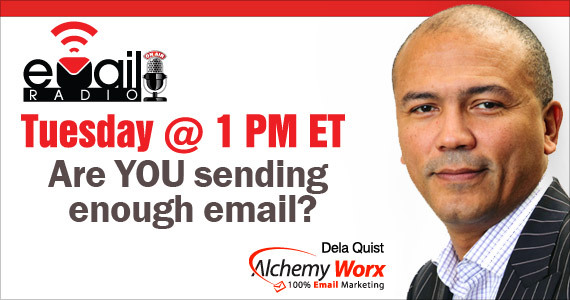 The show includes a special guest interview with Dela Quist of Alchemy Worx, always known for being a provocateur who pushes us harder as email marketers. 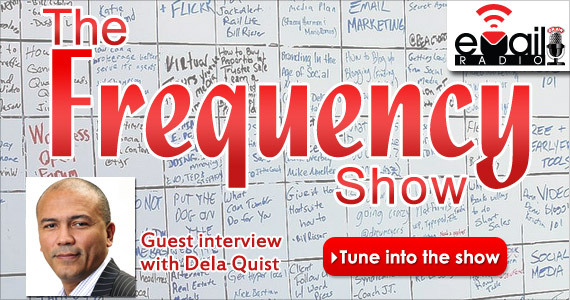 Tune in to hear Dela’s edgy point-of-view and to dialogue about email frequency with the eMail Guide community at 1PM EDT, May 17. Most businesses are inundated with the inevitable stuff that happens on a day-by-day and minute-by-minute basis. It can be a real struggle to plan, schedule, and stay organized to accomplish the results you want the most with the limited time you have. 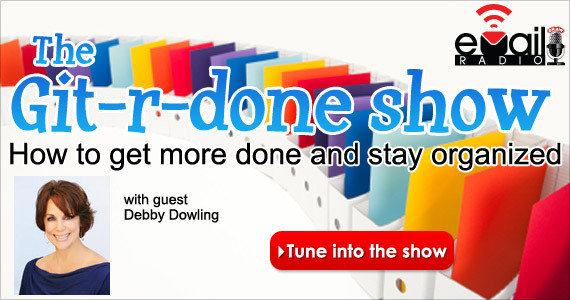 The Git-r-done Show is to help all of us get and stay organized. Join us at 1PM EST to listen in, call, and participate as we share the tips, tricks, and tactics that work best to move stuff off the checklist on purpose. Join us LIVE at 1 PM EST on Tuesday, March 1, for The Subject Line Show where we will take you through the “Do’s and Don’t’s” of subject lines. This is a show you will not want to miss, because you’re going to learn how to get your message recognized and open. Jeff, Chief eMail Officer at the eMail Guide, will discuss how to grow, promote, and integrate your email list through offline, online, and social media. This is the show of shows, the time and place for you to learn how to get started making your list growlonger and stronger. #eMailRadio host Jeff Ginsberg, along with Ninjas Matthew Patterson and Alex Williams, will teach you how to code properly and how to preview your emails to assure that all is well received. Want to master the ABCs of proper HTML coding? 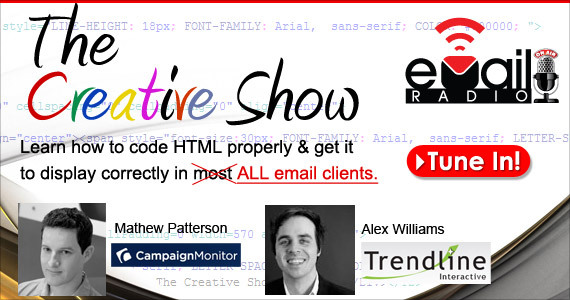 This is the show to learn how to make your email render well in all the various email client software types. Want to get your creative checked out? Send us a sample (to: emailradio@theemailguide.com), we’ll look at it, and give you the nuts and bolts to improve the look and feel of your email messages. 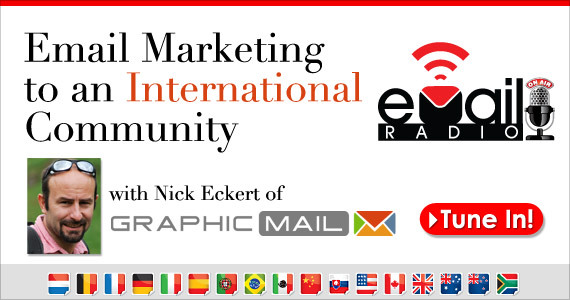 #eMailRadio host Jeff Ginsberg will interview Nick Eckert, CMO of Graphic Mail, and get his insights into international email marketing tactics. Nick will tell all about built-in user interfaces and the value of using an email service provider that supports different languages and international connections. There are unique issues involved when marketing to a cross-border and cross-cultural community, and Nick is the Ninja to ask. Let’s put a bee in your bonnet about social media as we discuss people focusing on doing social, not being social; companies thinking that social media are fast; companies treating social media like an entrée, not an ingredient; companies using poor metrics like followers and fans to guide social media decisions; and people asking what’s new and hot instead of worrying about how to do the current stuff better. This is your chance to call in with any question and we will answer it! We are here to give you the cutting edge on email marketing tactics and strategies. Are you ready to go from Newbee to Ninja in one hour? Anything is possible when these guys get together on live #eMailRadio! Chad and Dylan join us to talk about the gluttony of emails over the holidays. What worked and what didn’t and what does that mean to the year coming up. Now that the old year is over and the new year has begun what are you going to do to take your campaigns to the next level. 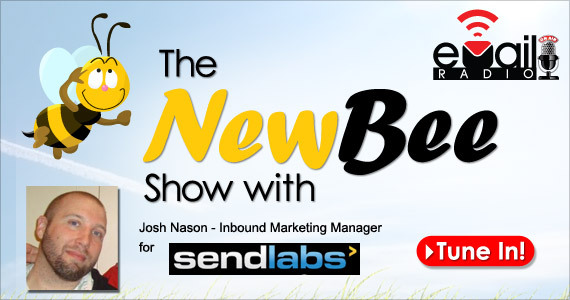 This show has 2 great email marketing experts, get your questions ready and start the new year off right with a dose of “you’re gonna do better this year” type of advice. Email marketing for non-profit associations is a different ball game. People on those lists likely are more enthusiastic about the content offered them – they are members after all. 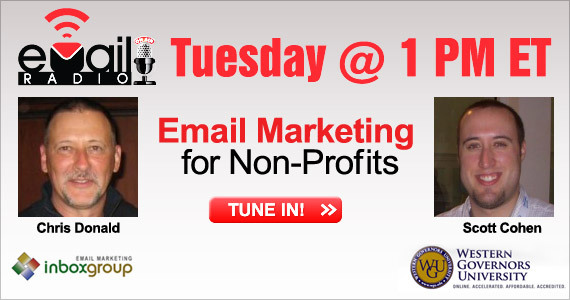 Chris Donald from the Inbox Group (they work with a lot of associations/non-profits) and email marketing blogger Scott Cohen, who works with University newsletters, join us to talk about non-profit email marketing. Live from the MediaPost’s Email Insiders Summit! 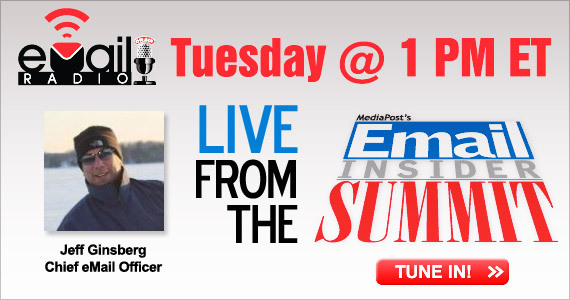 Jeff Ginsberg will be speaking at the Media Post email Insiders Summit in Park City Utah, which runs from December 5th – 8th. 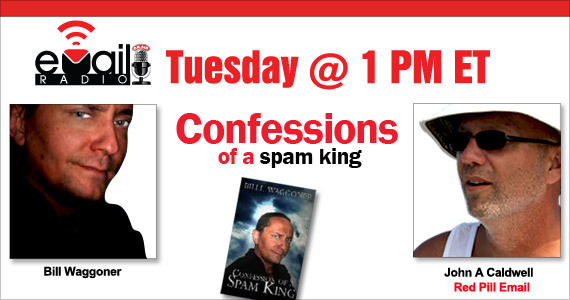 Jeff will be broadcasting live from the show next Tuesday on eMail Radio, talking about what’s hot and talking to some thought leaders who will be there as well! Trendline Interactive is a new email and online marketing agency started by Morgan Stewart and Andrew Kordek. 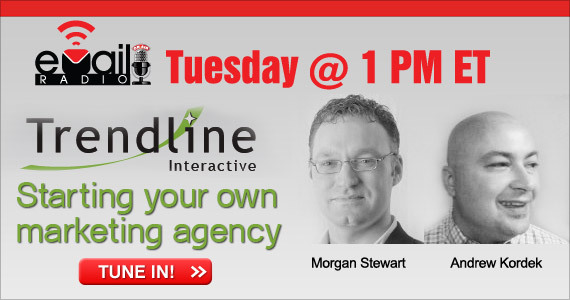 Both Morgan and Andrew are thought leaders in interactive marketing and have personality to spare! They’ll be here to share some war stories and tips on getting your own agency off the ground. 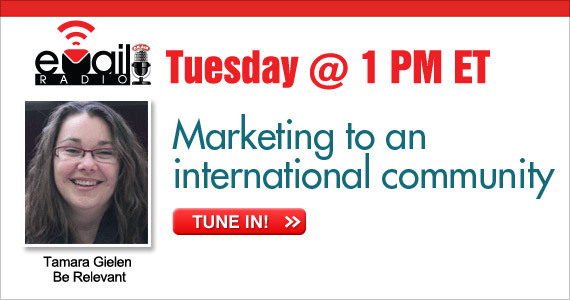 Tamara Gielen of “Be Relevant” and the Email Marketers club, joins us to talk about marketing to the international community. A message that works in one market may backfire in another. We’ll talk about how to avoid that kind of disaster. As an independent email marketing consultant & coach Tamara Gielen helps customers harness the power of email marketing, blogging & social media to attract customers, establish thought leadership, nurture relationships and increase sales. For some reason Bill Waggoner didn’t make it for the show. One does have to wonder why, if his position is so solid, he would pass up a great opportunity to explain and defend it. However, Jeff and Jim and John Caldwell did get into a good discussion about spam and several other fascinating issues regarding email, social and even direct marketing which you should enjoy. 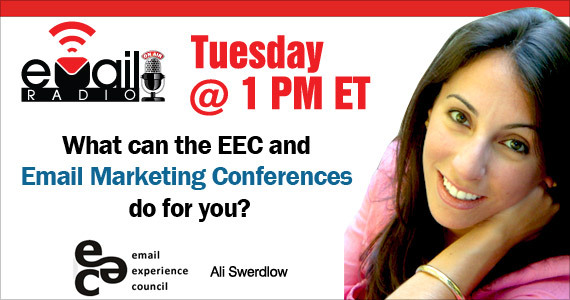 Jeff and Jim welcome Ali Swerdlow of the Email Experience Council to eMail Radio! You can bet Jeff will want to get her opinion on one of his favourite subjects: Do we have too many email marketing conferences happening too close together? Are YOU sending enough email? Current thinking in email marketing is dominated by DM techniques with a particular focus on RFM; leading to an overreliance on relevance, timing and ever tighter targeting. In effect what we are trying to do is get everyone to open click and buy from a greater percentage of the email we send …… by sending fewer and fewer messages! But can less really be more? 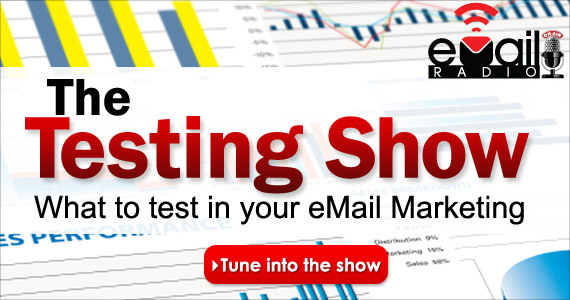 Email Marketing Testing – What and How Often? The fact is that most email marketers simply don’t test enough. You should be split testing such things as subject lines and calls-to-action. That’s just the start, what else should you be testing with your campaigns and how best to do it? 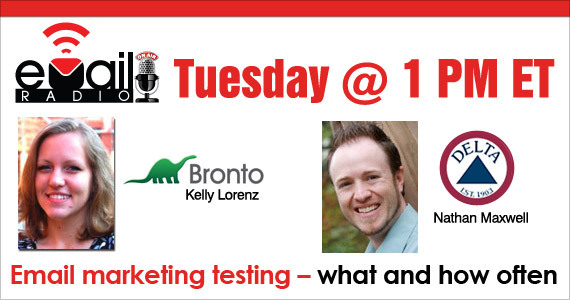 Kelly Lorenz email marketing strategist of Bronto and Nathan Maxwell, eComm Marketing Manager at Delta Apparel will join us to put testing to the test and answer your questions! Getting your email to the inbox is your first challenge as an email marketer. Recent changes to popular email clients such as Gmail can make that an even bigger challenge. 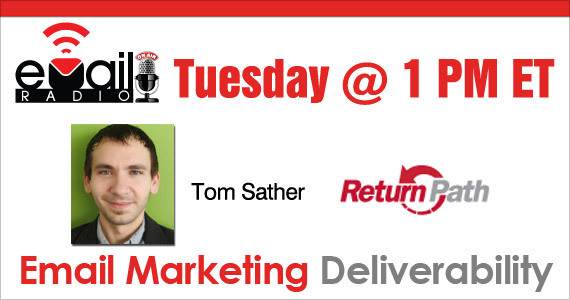 Tom Sather, Director of Professional Services for Return Path joins us to discuss these changes and answer your deliverability questions! Tom will have plenty of insight and tips to help you get your message to your subscribers! 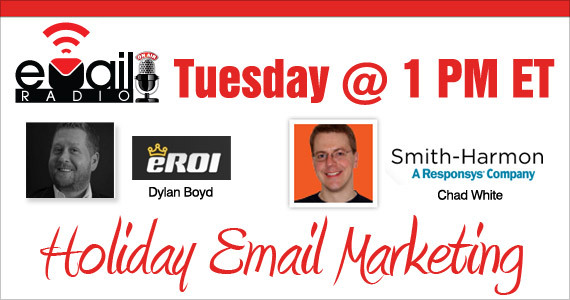 Chad White of Smith-Harmon and Dylan T. Boyd of eROI join us to talk about email and social marketing for the holiday season! The holiday season brings in a big chunk of your revenue! Are you taking full advantage of email and social marketing to increase that ROI? 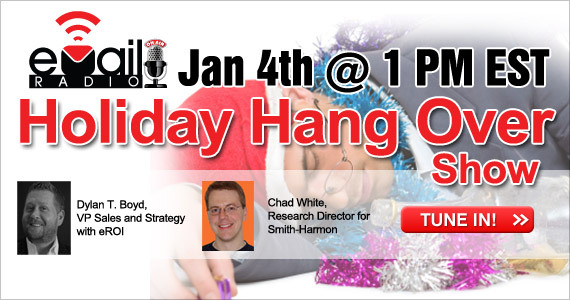 Dylan and Chad are experts on holiday email marketing and they’ll be here with lots of advice and answers to your questions! Smart phones and tablet PCs are fundamentally changing how people connect to the web and to your brand. Have you gone mobile with your marketing? There’s no time to waste! 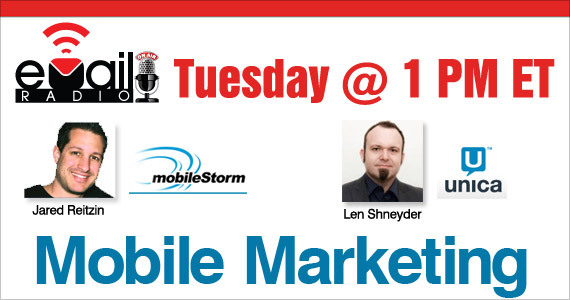 Jared Reitzin, CEO and founder of MobileStorm and Len Shneyder of Unica join us to help you understand and get started with mobile and SMS marketing! As always, we’ll be taking your calls live! Are your blog and email marketing friends? 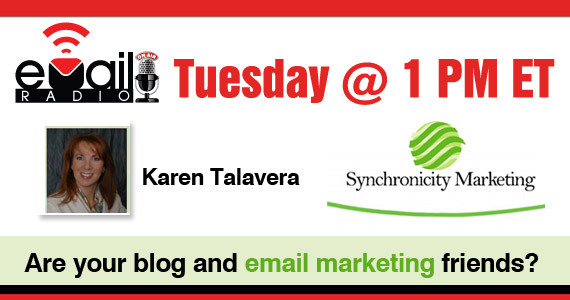 Karen Talavera of Synchronicity Marketing joins us to talk about how important your blog is to your email marketing campaigns and your business. A well-written, frequently updated blog can drive significant amounts of traffic to your website (more and more these days, it may BE your website). With the impact of search indexing and social sharing, it’s likely that many potential readers are first landing on your blog pages – not your home page or product pages. 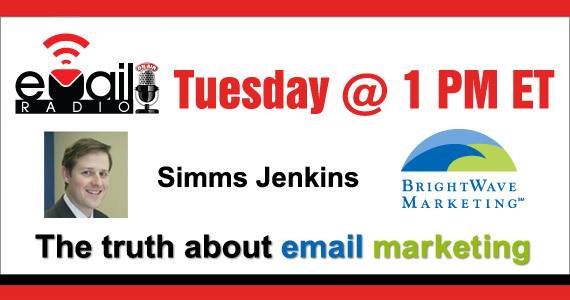 Author, blogger and CEO of BrightWave Marketing, Simms Jenkins, joins Jeff and Jim to talk about the biggest challenges facing email marketers today. Plus, we take your calls live! As the Co-Chair of the EEC’s Measurement Accuracy Roundtable since 2008, Luke has played a lead role in creating the first industry standard for measuring email metrics and how the calculations behind those metrics are applied by Email Service Providers. We’ll tackle the question: What metrics matter and what don’t? 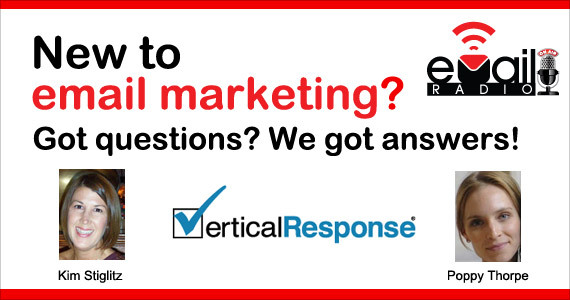 We’ll also take live questions and calls about email marketing reports and metrics. Email marketing legends, Mark Brownlow of EmailMarketingReports.com and Bill McCloskey, founder of Email Data Source. 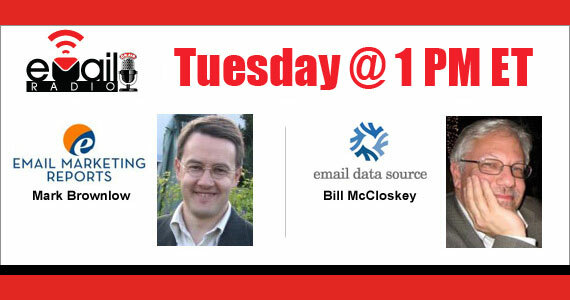 Join Jeff and Jim Tuesday at 1 PM ET to talk about where email and social marketing is at now and where its going in the future! Certainly there’s lots to talk about considering recent events such as Gmail’s Priority Inbox feature. We’ll take a look at where we are at and where email marketing is going! 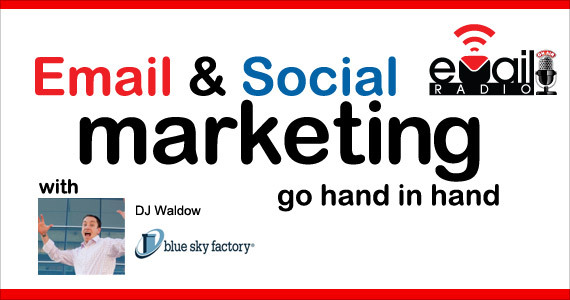 DJ Waldow of Blue Sky Factory joins eMail Radio to discuss how email marketing and social media go hand in hand! We’ll take your calls/questions live! We’ll open up the lines and take your calls on everything from list building to integrating social media and email! New to email marketing? Got questions? Kim is Director of Retention & Conversion Marketing at VerticalResponse and her focus is helping new clients get up and running fast with their email marketing campaigns! So, she’s one person who can definitely answer your questions and help you reach your goals with email and social marketing! Poppy is the Social Media Manager for VR and is well-equipped to answer questions on integrating social and email for small business. Matt is responsible for maintaining industry-leading deliverability rates. He is an industry advocate, participated on Canada’s Anti-Spam Taskforce, and speaks authoritatively about email marketing, deliverability and ISPs, leading trends, tools, techniques, risks and opportunities. Dennis has more than 17 years of experience combating spam, security issues, and improving email delivery through industry policy, ISP relations and technical solutions. He leverages his experience and industry connections to help customers maximize their delivery rates and compliance. Stephanie is Vice Chair of the EEC, a customer advocate, and an expert at creating amazing online experiences that build brands and drive revenue. With 20+ years of experience, she helps online publishers and marketers optimize their email channel revenue, starting with inbox deliverability. John is active in email marketing and operations since 1996 and is experienced in integrated and tactical email marketing and operations. He has brought his best practices, customer segmentation, and operational analysis to a number of major clients. Listening live just couldn’t be easier! Listen @ work, home or on your smart phone or embed our player right on your blog! All shows are archived immediately after the live broadcast in MP3 format for easy download and listening! 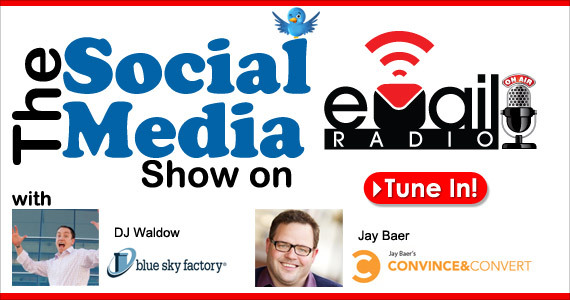 Each show is integrated with Twitter @ #emailradio! You can post your questions or suggestions there and we can provide links to online resources for our callers! 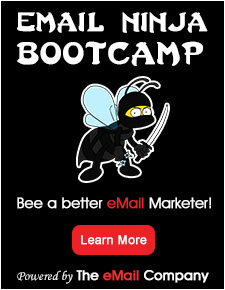 Reach a targeted audience of email marketers with your product or service on eMail Radio! We provide the scripts and professionally voiced spots to make your message shine! Contact Jeff at TheeMailGuide.com for information! Jeff Ginsberg has over a decade in the email marketing business. He’s sought after as a consultant and speaker on all things related to online marketing. He’s got a keen sense of humour and a straight up kind of attitude. 1) Make sure you have downloaded iTunes to your computer. You can download the newest versions of iTunes here: http://www.itunes.com. Without this software installed, you cannot subscribe to any feeds using iTunes. Please note that all BlogTalkRadio podcasts are free of charge. 2)Visi the show profile page that you would like to subscribe to. At the top of every profile page is a show name. Next to the show name, you will find an orange RSS button and an iTunes button. Clicking on the iTunes icon will open your iTunes software, and take you to your podcasts section on the iTunes store. You will find the show information for that particular show, along with a “Subscribe” button right at the top of your iTunes page. You will then click “Subscribe” to formally subscribe to the show. You will get a confirmation pop-up window to confirm that you really want to subscribe.3) Click on the Podcasts link on the left of your iTunes window. You should now see the subscribed show in this list. If the arrow next to the show is pointed to the left, you can click that arrow so it points down and you will then see all of your subscribed podcasts for that show expand down the page for as many shows as they have available. That arrow allows for organization of all of your subscribed podcasts. eMail Radio Debut Show 1 PM EST August 10th 2010! Who better than North America’s largest email marketing association to help you understand if your email marketing challenges are unique or shared by others in the industry? We are kicking off eMail Radio with a conversation with leaders from the Email Experience Council of the Direct Marketing Association (www.emailexperience.org). Ali Swerdlow is the executive director of the Council – the largest working group of the DMA and Stephanie Miller is volunteer Vice Chair of the Council. (Her day job is at email deliverability company Return Path (www.returnpath.net)). Both have been with the Council since its inception more than four years ago, and work with the industry’s member committees around advocacy, standardized metrics, design, deliverability and list growth. They are even launching a consumer website. We’ll talk about what’s hot, give feedback for the DMA/eec agenda in 2010 and beyond, and answer your questions. Also joining us will be John Caldwell of Red Pill Email. Active in the email marketing and operations space since 1996, John Caldwell is an innovative marketing executive experienced in integrated and tactical email marketing and operations. As an independent consultant John has brought his utilization of email marketing best practices, including customer segmentation and profiling, and operational analysis, to a number of major clients including Teleflora, eHarmony, Experian Consumer Direct (FreeCreditReport.com), and more. 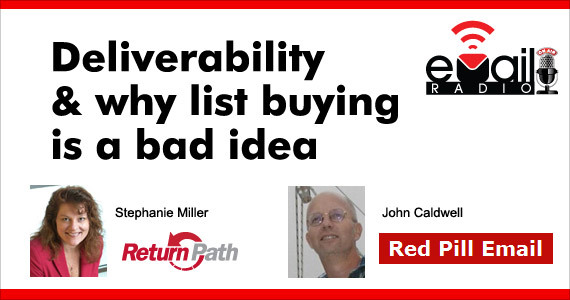 John is a veteran of email marketing and a crusader for best practices in the industry. He tells it like it is and calls them as he sees them. He also happens to be one of the funniest people you’ll ever talk email with!